Lovely Neil, is this your first oil painting? The colours are clean and bright, and you're fearless when it comes to painting people. I just noticed, even Zoe made it into the picture! 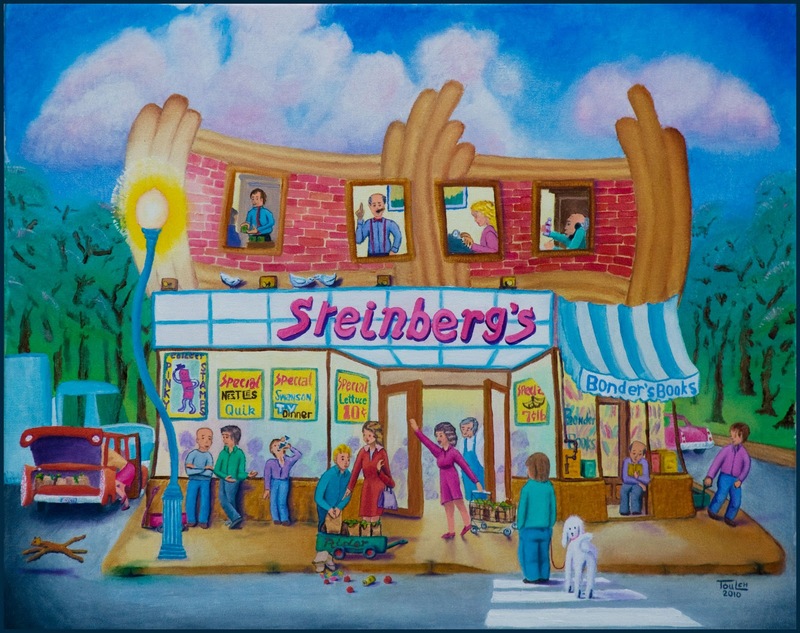 The Steinbergs portrayed here was inspired by the location at Bernard and Bloomfield in Outremont. We lived a few blocks over on Durocher and my mom only shopped there.